The IELTS general and academic writing exam marking criteria is divided into four categories, which are equally weighed, to make up an overall writing score. The grammar range and accuracy is an area which is often misunderstood and therefore, poses a challenge to test takers. 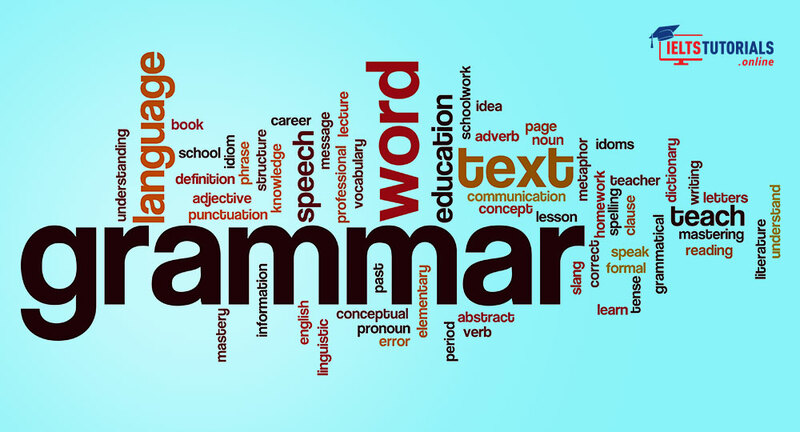 In the IELTS exam, one cannot just stay limited in terms of grammatical use, one should also use various types of range (structural grammar) to gain ground in the exam. Are they relative or similar? I would like to tell you that there lies a big difference between the 2 terms. The range or structure part pertains to various varieties of statements like sentences, and the accuracy part is not something which is tested explicitly in the IELTS exam, but is tested by the examiner in a subconscious manner. How? The range part is tested in IELTS in tests of reading, listening, writing and speaking. ; the structure used in writing and speaking; a number of rules are to be followed in a lot of cases here. For e.g. If you’re asked to talk about a book or a magazine you’ve recently read, you have to use the past tense; in case you’re asked to talk of going to a dream travel destination, you have to use future tense – All stated conditions, types of grammar, tenses etc. have to be followed. The grammatical structure I am going to talk about today has a number of rules, but before diving into that, let’s go through something more important. The basic structure. We are often so hooked in learning the advanced modules, that we tend to forget the basic things. This mentality costs us. Sometimes heavily. impressed already, let me tell you that IELTS Practice Tests go a big way in improving your scores! But hey, basic structure! The basic structure begins with an understanding of parts of speech. Let’s start learning! The basic structure is like the roots of grammar. A failure to understand it, could even mean not utilizing grammar in more appropriate or practical forms. It is important to know and understand the basic structure given the fact that we pretty much use all of it in our writing part, but don’t know where it is. Let me teach you the eight parts of speech. All sentences in English can be divided into parts of speech. As stated earlier, knowing and understanding them can help us learn and understand the language better and would also allow you to comprehend things more properly. Also, I would ask you not to stress much on vocabulary. Vocabulary, in a practical sense is not mere use of unusual, unheard words. It is about how we write them and utilize them with a proper grammatical structure. Here we go with the basics! Let’s start with the most basic of things. Noun. The matter, the thing, in our case, IELTS is the noun. People, places, things, animals and feelings constitute nouns. Pronouns replace nouns. He, she, it, I, you, us etc. of the type are pronouns. Verb basically denotes the action we do. Run, go, have, play, sing, listen etc. of the type are verbs. For me, this is perhaps the most beautiful part of parts of speech. Adjectives are words which describe the qualities of the noun. Words like angry, brave, healthy, intelligent etc. are some examples of adjectives. Adverbs add meaning to the verbs and often tend to describe adjectives, verbs or adverbs. Generally, an adverb ends with –ly. Words like hardly, neatly, quickly, really, well, never, almost etc. are examples of adverbs. 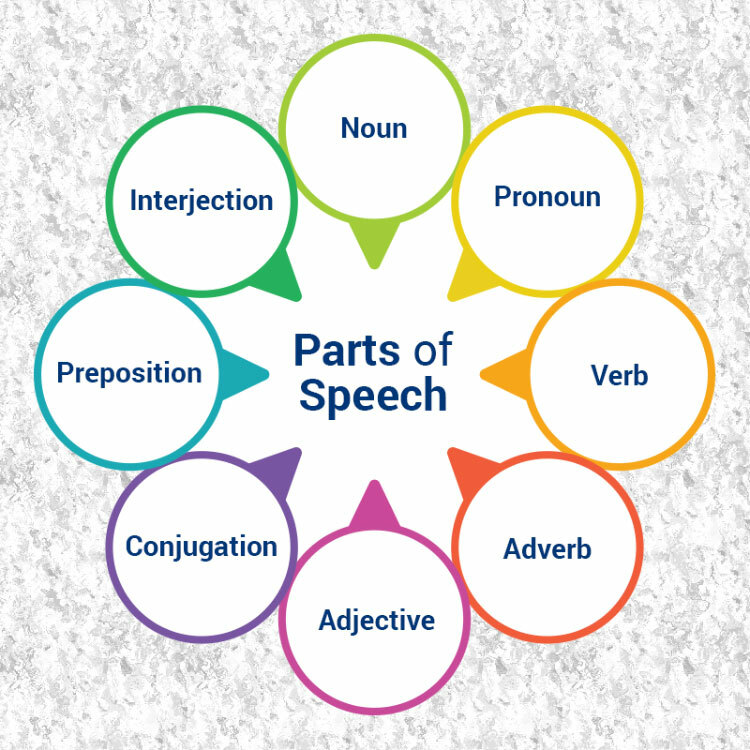 If you are thinking about similarities of adjective and adverb, adjective describes noun and adverb describes all parts of speech except noun or pronoun. Prepositions shows the relation between words in a sentence. Basically, it is something which can give information about the subject related to the object. Some examples are above, before, except, some, since, between, upon, since, with, after etc. Before beginning this section, it is one of the best part in IELTS to improve your score. Conjunctions are connectors in all parts of the sentence. It connects phrases, clauses, sentences etc. To remember a few conjunctions, always remember FAN BOYS – For, and, nor, but, or, yet, so. To name a few. Also, they are used to join sentences in which one part of the sentence depends on the other. We can use prepositions to make complex sentences. A little extra bands maybe? Interjections basically express and convey strong feelings in a sentence. It normally ends with an exclamation mark. A few examples of interjections are Oops! Gosh! Aha! Oh! Knowing the basic structure is as important as it is significant and basic. It is like taking the first step on a ladder to climb to your dream score! Let climb one more step in the ladder now! It is perhaps the most important part in an IELTS exam. The cornerstone rule here is that the subject and verb must agree in number. To make a noun plural, we can add –s or –es. But, if we add –s or –es to a verb, it becomes singular. The verb form will be in the opposite form of the noun. The relation between subject and verb is so strong, that we need to understand where they can use proper conditional sentences – the words and grammar structure. This is a section in which students genuinely tend to make mistakes. In a nutshell, you use ‘one off’ when you see the subject among all, a lot of people/things etc. On the other hand, ‘one of the’ is used when the subject is compared with some, in case of favourite books. If you use ‘one off’ condition rule, always use the noun in plural form, verb in singular form. Just like a pronoun replaces a noun, people or situations are replaced with words like each, either, neither, each of, everyone, no one, someone, anyone, everything, nothing, something, anything, everybody, nobody, somebody and anybody. Always use a singular verb with all these words. The unaccountability always takes the singular verb. The ‘either – neither’ difference: Either is used when there are 2 options and one choice is to be made. Neither is used when there are two options and no choice. A use of words – like with, together with, along with, in addition to, except, besides etc. used to combine two subjects. The verb agrees with the subject mentioned first. These are used to make complex sentences. When these words are used with nouns, the verb is used according to the 2nd subject. None can take a singular or a plural verb depending on the noun which follows it. The number is generally followed by a singular verb, and a number is generally followed by a plural verb. The collective noun is basically, a large number of entities working together. You might think that the examiner checks the linguistic part. So, why all this? It’s simple. The examiner checks the linguistic part – in your structure! Lastly, practice is key. You need to solve a lot of sections you have difficulty in, and then evaluate your strengths and weaknesses. Visit IELTS Tutorials and register for free to avail free IELTS academic practice tests. That’s all for now! Signing off! I am Krina Patel, first, a proud mother of two and then, a project manager. I’m passionate in the heart about project management and learning; and use my experience and skills in helping others. My belief is simple. 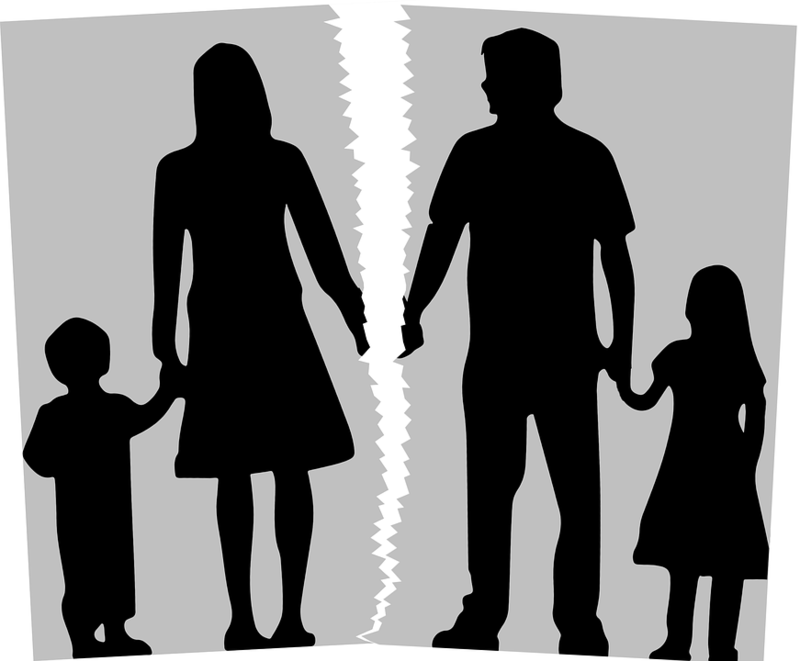 Just like a mother assures her child, I love assuring people in form of insurances for their pleasant stay in Australia.